May the Allfather guide you. 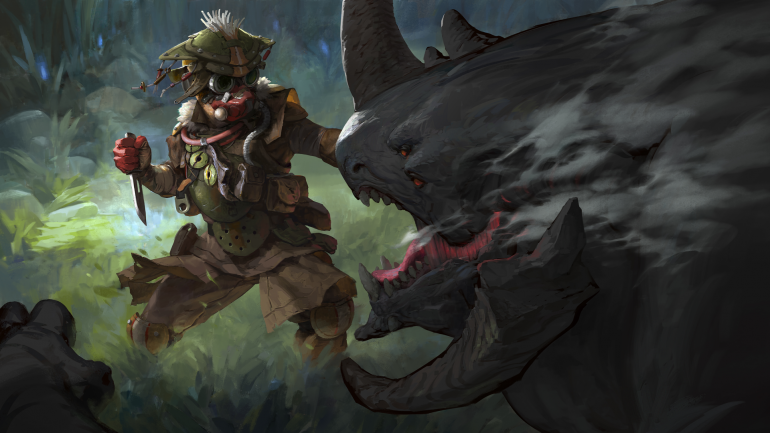 Apex Legends’ eight characters each come with their own set of skills, allowing players to try out new playstyles with every match. As the only designated recon class, Bloodhound brings a unique way to play the game, serving as the ultimate watchdog for their team. With Tracker, Bloodhound and their teammates will see small markers on their screens that provide limited information about nearby enemies. These clues linger for only a short amount of time, but they reveal an opponent’s actions and when the action was made. Bloodhound users can follow the tracks to hunt down and locate nearby enemies. Bloodhound’s Q grants players the ability to see nearby enemies within a limited range. Eye of the Allfather highlights enemies through walls, revealing their location at the time of cast to Bloodhound and each of their teammates. If the scan fails to find enemies, Bloodhound players will see a message at the top of their screen indicating no hostiles were found. The ability has a lengthy 35-second cooldown, so players should be sure to use its tactical advantage when most appropriate, such as when entering buildings or approaching smaller rings during the late game. Beast of the Hunt significantly enhances Bloodhound’s movement speed and tactical sight. The ultimate drains the user’s screen of color, turning their surroundings black and white. Nearby enemies within Bloodhound’s line of sight are then outlined in red, causing them to stand out against the background. Bloodhound’s ultimate lasts for 35 seconds but has a casting time of one second where they’re left vulnerable, so players need to be careful when casting mid-fight. With their ability to track enemies through smoke, Bloodhound excels in games with an allied Caustic or Bangalore who can create clouds of poison gas or smoke to confuse enemies. Bloodhound also excels as a flanker due to his increased movement speed and tactical vision after casting Beast of the Hunt.